This dish is the perfect way to pair basil with fish. It’s not the most common of flavour combinations but it’s so tasty we can’t understand why people don’t do it more often. If you lay a couple of basil leaves on the fish fillet and bake it, the leaves get all crispy. BONUS! Pre-heat your oven to 200 degrees. Start by making the tomato sauce. Cut the red onion in half through the root, peel and the cut into thin half moon shapes. Peel and grate the garlic. LH: Pick the basil leaves and keep until later. Chop the basil stalks as small as you can. 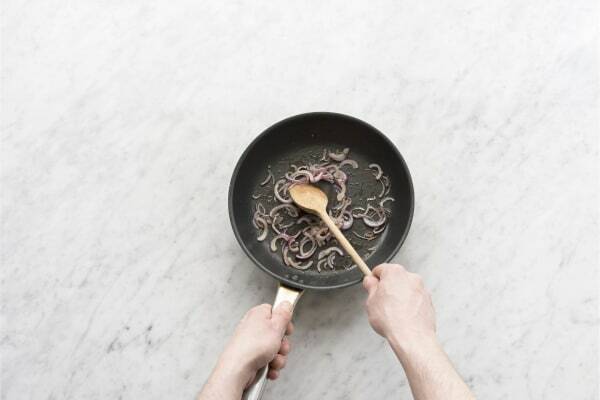 Put a saucepan on medium-high heat and add 1 tbsp of olive oil. Once hot, add the red onion and cook for 3 mins until it begins to soften. Season with a pinch of salt and a good grind of black pepper. Add the garlic and chopped basil stalks, cook for 1 minute more and then add the red wine vinegar. Carry on cooking until the vinegar has evaporated and then pour in the tomato passata. Refill the carton with water and add this to the sauce. Reduce the heat to low and let your sauce bubble away for 15 mins. You need it to reduce by half. As your sauce cooks, chop the top and bottom off the courgette and slice at an angle into eight 1cm thick pieces. Heat a frying pan over high heat. 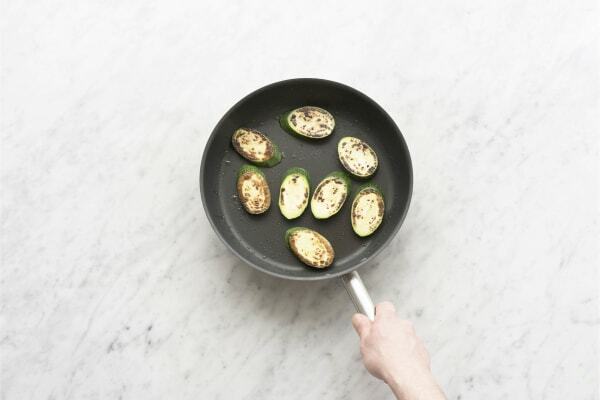 When the pan is hot, cook your courgettes for 5 mins on each side until charred. When ready, keep them to one side. 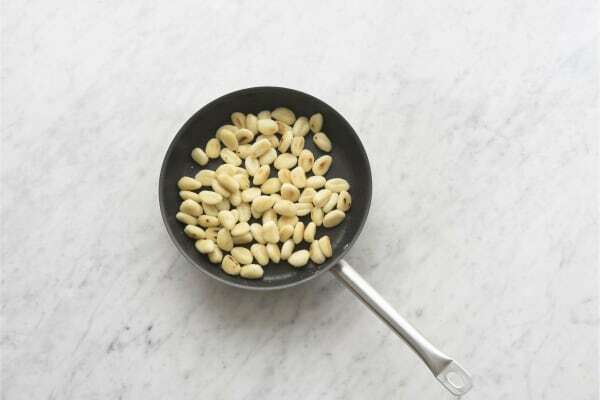 Don’t bother washing the pan, we’ll use it later for the gnocchi. 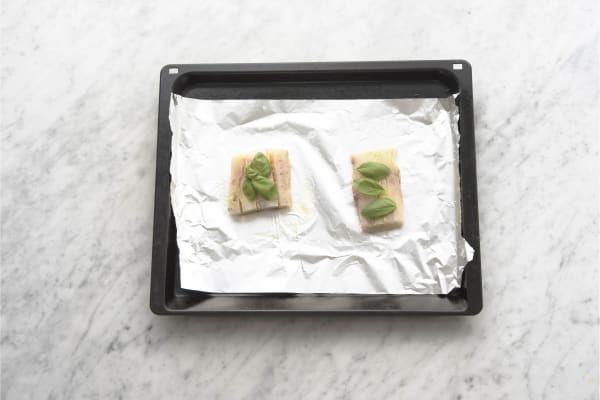 Take the cod fillets and place on a foil lined baking tray skin-side down. Season each piece of fish with a pinch of salt and drizzle over 1 tbsp of olive oil. Zest the lemon on top of the cod fillets. LH: Gently massage in all the flavour and then top each piece of fish with two or three basil leaves. Coat the leaves with a little oil so they stick to the fish. Pop the fish in the centre of your oven and bake for 12 mins. Tip: The fish is cooked when the centre is opaque. As the fish cooks, reheat the frying pan you used for the courgettes on medium heat. Add 1 tbsp of olive oil and when the oil is hot, add the gnocchi to the pan. Cook for 5-8 mins, turning every minute or so to make sure they are golden all over. 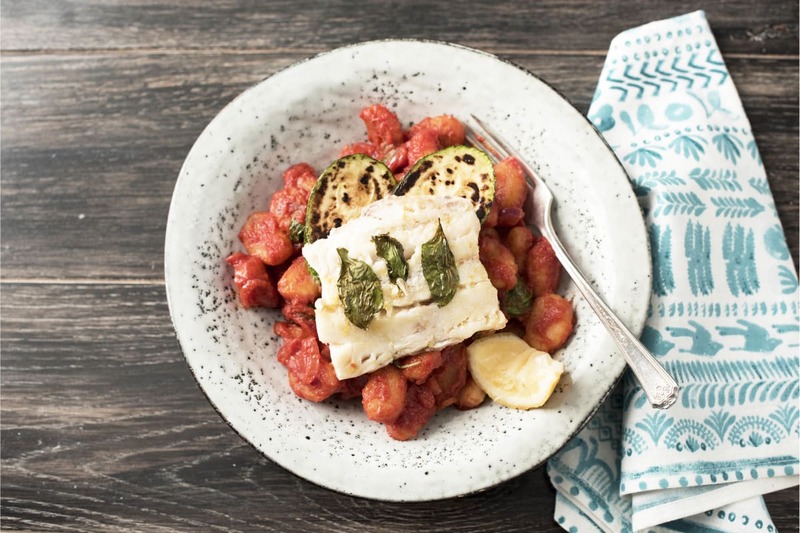 When your fish is cooked, add the gnocchi to the tomato sauce. LH: Tear the remaining basil leaves and mix through the gnocchi. Serve a generous amount of gnocchi in a bowl or plate and top with two slices of charred courgette. Sit your cooked cod on top and finish with a squeeze of lemon juice. Enjoy! !